The sun, fun and sounds of summer are here! For most of us, it means more time outdoors, and from outdoor concerts to mowing the grass, there are more opportunities for risk of noise-induced hearing loss. In fact, did you know that aging isn’t the main cause of hearing loss? It’s prolonged exposure to excessive noise. The good news is that noise-induced hearing loss is often preventable, and we’ve got some tips to protect your hearing this summer. If the thought of swimmer’s ear—the painful ear infection—is keeping you out of the water, there’s a few simple things you can do to protect your ears. Before you dive in, wear earplugs and make sure the water is safe to swim in. Check for posted levels of bacteria in places like ponds, rivers and lakes. High bacteria counts are a breeding ground for ear infections. Once you’re out of the water, shake your head to get excess water out of your ears and dry your ears with a towel. Over-the-counter ear drops will also dry up any water that’s remaining. Just remember not to use ear drops if you’ve had ear surgery or are experiencing pain. If you wear a hearing aid, check with your hearing consultant to find out if your device is water resistant. The odds are good you’ll be able to take them along when you’re lounging poolside, but don’t wear them when you dive in for a swim. Keep them safe and dry in your hearing aid case. The summer concert season is here, with outdoor festivals and touring musicians playing venues as varied as giant stadiums and intimate jazz clubs. And while the music is great, the amplification isn’t so great for your ears, with sounds up to 120db. Up to just 15 minutes of exposure to music at this level can lead to hearing loss and tinnitus. Sound engineers and professional musicians protect their hearing with earplugs or noise-canceling headphones, and you should do the same. If you can, avoid being up front close to the speakers, because while it’s great being up close to the music, it’s not the best place for your ears. If you wear a hearing aid, you can still enjoy live music, as many devices are designed with filters for specific settings. And even if you have significant hearing loss, going to concerts and festivals can still be an enjoyable outing, since more and more musicians are adding American Sign Language interpreters to share the stage with them. With outdoor entertaining, barbecues and summer get-togethers, everyone wants their yard to look its best, and that includes a perfectly manicured lawn. Just remember that most power lawnmowers produce around 90 to 100 decibels, a level that is associated with hearing loss after prolonged exposure. Always wear ear protection while using a lawnmower or leaf blower. With the rising temperatures, it can get hot, sticky and sweaty during the summer months. From mountain hikes to bike rides to even a brisk morning walk, you can count on breaking into a sweat. But wearing a hearing aid doesn’t mean you need to curtail your outdoor activity. Most devices have a moisture-repellent control to keep water out, but you can add a layer of protection with a hearing aid sweatband. These sweatbands are washing-machine safe and easy to keep clean for every workout. To ensure your hearing aids are completely sweat-free, you can also store them in uncooked rice to dehumidify them. 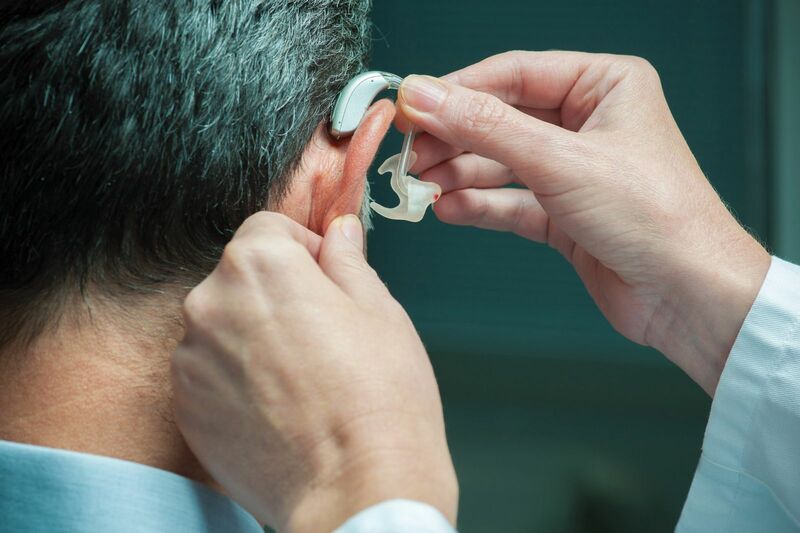 Another trick to keep your hearing aids firmly attached behind your ear while you work out is double-sided toupee tape—it’s an adhesive made for skin, so it’s comfortable and easy to remove. 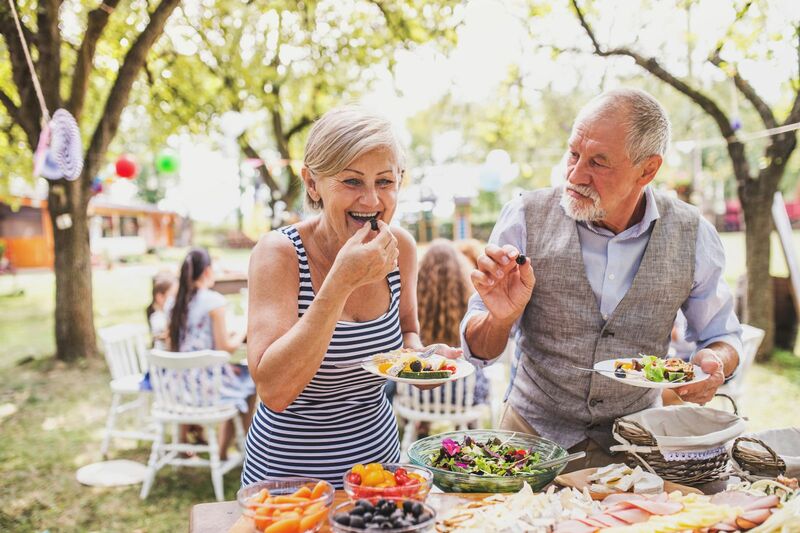 In addition to all the summertime activities that increase your risk for hearing loss, the summer is also a prime time for family gatherings, a time when many people struggle to hear well. With kids and grandkids out of school, there are more ways to connect with family. 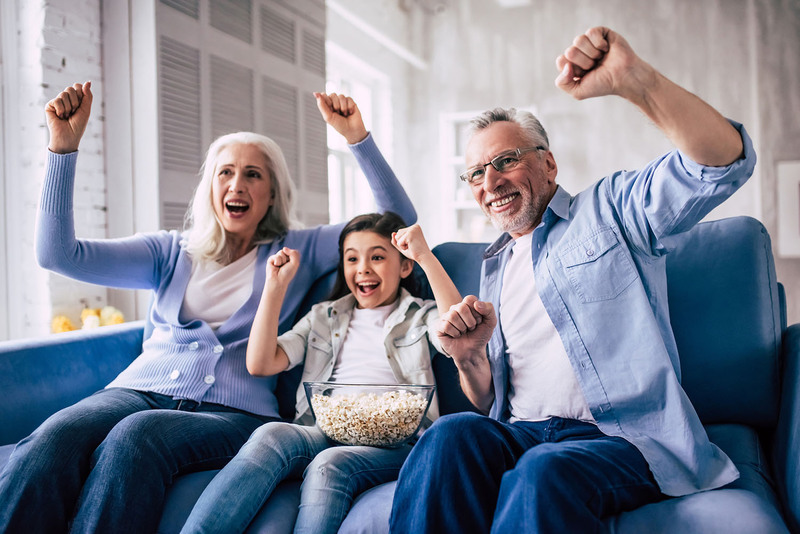 Whether it’s a multi-generational family reunion, a summer beach vacation, or a backyard gathering, there’s often a lot of distracting background noise. Find your place at the end or corner of a long dinner table to eliminate the side chatter or select a spot that’s away from the music to minimize competing noises. “Could you say that in a different way?” Asking people to rephrase, rather than repeat, is often the key to better understanding. It’s not necessarily that you need someone to speak at a louder volume, but you need more clarity—and with rephrasing, you’re more likely to pick out more words. “Turn Down the Volume!” If you’re finding the loud music or TV distracting at a get-together, most likely other people are, too! It’s fine to politely ask the host if they could please turn down the volume so that everyone can focus on the conversations and each other. Look at the person you’re speaking to. Facing someone directly can go a long way towards better understanding and clarity, by filtering out ambient sound and paying attention to facial cues, too. Talk to a hearing professional to find out the best way to get the most out of all your summer activities.